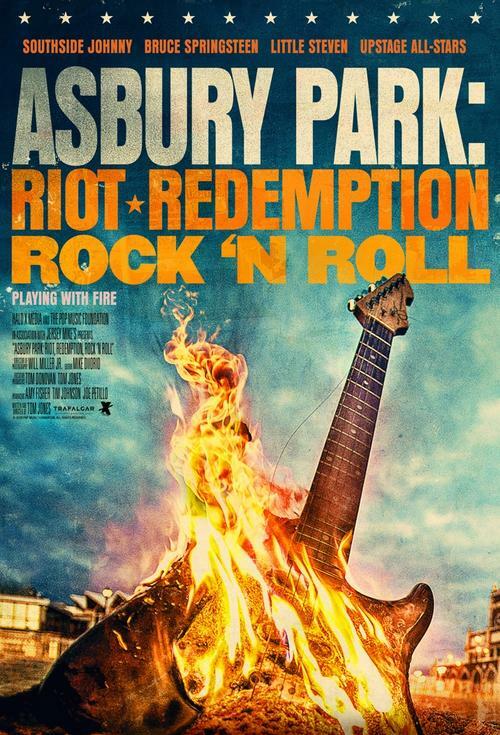 The story of the long-troubled town of Asbury Park and how the power of music can unite a divided community. A once storied seaside resort, Asbury Park erupted in flames during a summer of civil unrest, crippling the town for the next 45 years and reducing it to a state of urban blight. A town literally divided by a set of railroad tracks, the riot destroyed the fabled Westside jazz and blues scene, but from the flames of the burning city emerged the iconic Jersey sound. Featuring never before seen interviews and performances, the film returns Asbury native sons Southside Johnny, David Sancious, Bruce Springsteen and Steven Van Zandt, to the legendary Upstage, the psychedelic after hours club where they got their start, Shuttered for four and a half decades, the Upstage remains a perfect time capsule of the Club which united both sides of the tracks in Asbury and acted as a crucible for young talent. Now, as Asbury Park enjoys its long awaited renaissance, it is music which has brought it back from the dead. This theatrical event will also include a bonus feature as Van Zandt, Southside Johnny, Springsteen and the Upstage All-stars play a now legendary concert to a sold out Paramount Theater and trade guitar licks with the future of music in Asbury -- a group of 11-year-old rockers who prove the best days for the town may just lie ahead.